Bungie’s Destiny continues to expand with the latest DLC pack, Rise of Iron. With this expansion you’ll get an all-new setting on Earth called The Plaguelands, complete with a new social space called Felwinter Peak that looks out over the area. There’s also a brand-new six-player Raid, a new cooperative three-player Strike, more quests, weapons, gear….pretty much every segment of the game will be gaining new content. Plus, the fan favorite weapon known as the Gjallarhorn makes its return — and you can get one right away if you preorder the DLC. Rise of Iron will be out September 20 and will retail for $29.99. See the official trailer below, followed by Bungie’s press release. We’ll be seeing more of this expansion at E3. 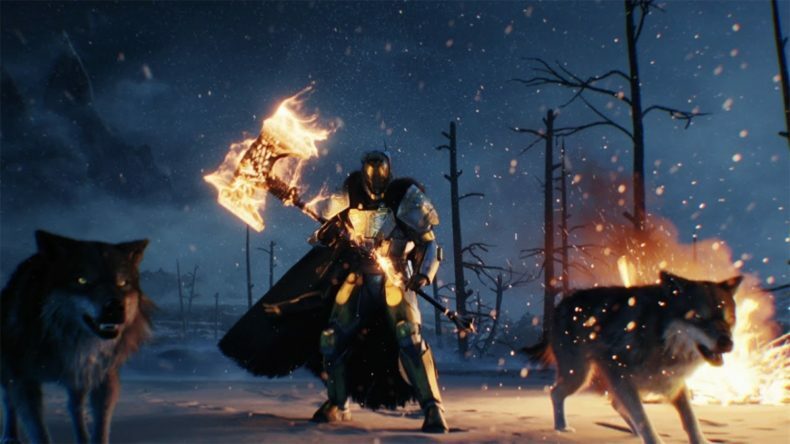 Santa Monica, Calif. – June 9, 2016 – Bungie and Activision Publishing, Inc., a wholly owned subsidiary of Activision Blizzard, Inc. (Nasdaq: ATVI), announced Destiny: Rise of Iron, the next highly-anticipated, large expansion in the Destiny universe. Building upon the legacy of Destiny, this new chapter draws players back to where their journey was born and entices them to join alongside one of Destiny’s greatest heroes to battle an ancient enemy from the past. Rise of Iron launches on September 20, 2016 and will be available for the PlayStation®4 system and Xbox One (PlayStation®Plus, Xbox Live Gold, required for some features). Requires Destiny game and The Taken King (includes Expansions I & II), sold separately. Guardians must rise to the challenge to take their place as the next generation of Iron Lords. Along the way they will join forces with a legend from humanity’s Golden Age to defeat a plague of unstoppable evil once and for all. The game features a collection of fresh content including an all-new setting on Earth called The Plaguelands, a brand-new six-player Raid, Felwinter Peak, a new social space that looks out onto The Plaguelands, new cooperative three-player Strike, more quests, weapons, gear, competitive multiplayer mode and maps, a Light level increase, a new mutated enemy faction of the Fallen, and more. Rise of Iron is rated T for Teen by the ESRB. The expansion will be available at a suggested retail price of $29.99. At launch, PlayStation gamers will also get access to a collection of timed exclusive content for Rise of Iron, content and timing of exclusivity to be announced at a later date. The community can interact directly with the developers at www.Bungie.net, www.facebook.com/Bungie, @Bungie on Twitter, and www.Twitch.tv/Bungie on Twitch. For game information, visit www.DestinyTheGame.com and follow the official Destiny social channels at www.facebook.com/DestinyTheGame and @DestinyTheGame on Twitter and Instagram.